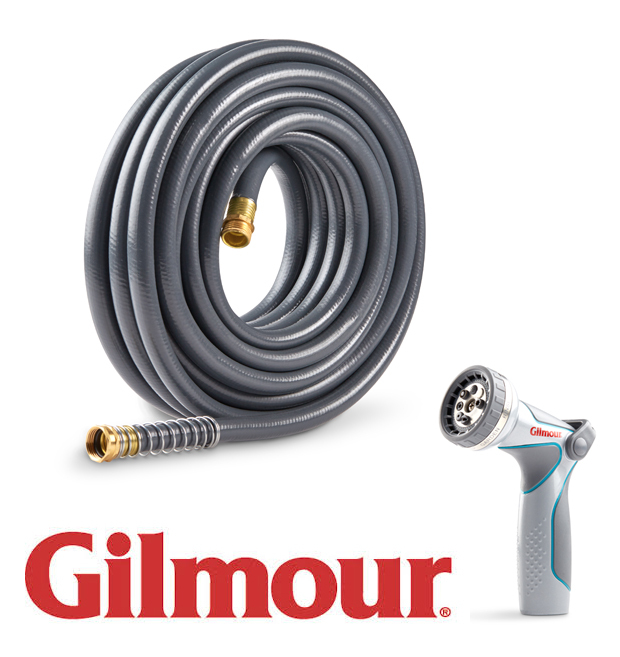 ONE LUCKY WINNER will win ultimate watering tools that are built to last from Gilmour! Enter to win a 50 ft Flexogen Super Duty Hose with a Super Duty Thumb Control Watering Nozzle! As flexible as it is durable, Flexogen® delivers superior all‑around performance for your lawn, garden, deck and driveway. Count on a Flexogen® garden hose to curve without kinking, connect without leaking and hold up season upon season. The watering nozzle features a durable metal body reinforced with stainless steel to ensure a long life and a front trigger that requires less effort to squeeze, so you can remove the stress from your hand and your outdoor to-do list! If you are interested in learning more about Gilmour, please visit their website at www.gilmour.com and connect with them via Facebook, Pinterest, or YouTube! Step 3: The giveaway ends 11:59 p.m. EST on June 16, 2016. The winner will be drawn at random from all qualified entrants and will be notified on Twitter via a Direct Message. Keep in mind, this giveaway is open to U.S. residents only. See rules for more information. UPDATE 6/20/16: Congratulations to Freda Carl!